Here's what we think will be the pricing on the new generation Honda CR-V petrol and diesel, set to go on sale tomorrow in India. Honda is all set to launch the new generation of the CR-V SUV in India on October 9, 2018 and the car had has its fair share of success in the country. In its fifth generation will look to topple established players in the country. The SUV will take on the likes of the Toyota Fortuner, Ford Endeavour, Skoda Kodiaq and the Volkswagen Tiguan. The Honda CR-V is sharper and angular in terms of design and looks pretty sleek. 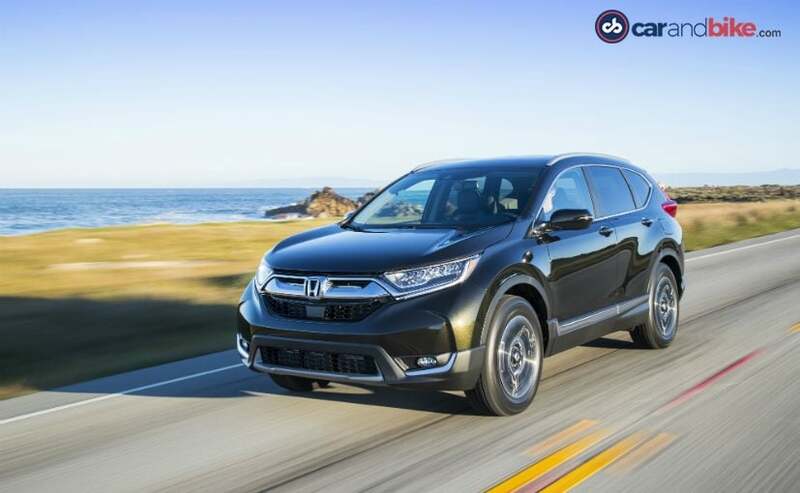 Up front, the Honda CR-V gets a thick chrome bar for the grille which is a signature as far as Honda is concerned and it's flanked by LED headlights and complemented by the LED fog lamps. The CR-V's cabin is also more spacious offers more comfort. The interior quality has also been kicked a notch up and comes with premium quality material for upholstery, panels and in-car controls. The cabin comes with a TFT LCD instrument cluster and a centrally mounted 7-inch touchscreen display with a navigation system developed with Garmin. There's Apple CarPlay and Android Auto connectivity as well making it more contemporary. The Honda CR-V for the first time around will be available with a seven seat layout and yes that's a big deal. But a bigger deal is the car getting a diesel engine and most of the excitement is around that very thing. The diesel engine a 1.6-litre, four cylinder, turbocharged unit will make just 120 bhp of peak power and 300 Nm of peak torque but will be mated to a 9 speed automatic gearbox with paddle shifters. The petrol engine on the other hand will be a 2-litre unit that will make 154 bhp of peak power and 192 Nm of peak torque. While the diesel will get all-wheel-drive as an option, the petrol will only get a front wheel drive version. We expect the CR-V to be priced between ₹ 28 to ₹ 32 lakh but we'll know more about it tomorrow. So, stay tuned!